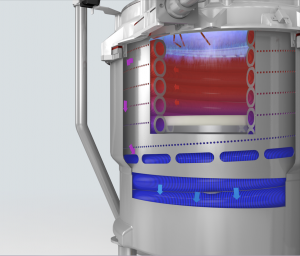 Small marginal gains in boiler design have lead to evolutionary changes that add up to an impressive shift in performance in commercial boilers. 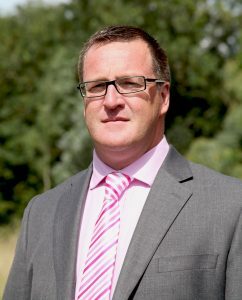 Here, Gavin Watson, Sales Director at Elco Heating Solutions, looks at these incremental improvements. Quite often, it is difficult to discern small changes or notice an improvement in performance until you experience it – or at least have a direct comparison. Consider a 10-year-old van for example. It might run like a dream, cruise on the motorway at 70mph without any fuss and cost the same to run as it did when it was new. But, along comes a new van, one that is available for an unmissable deal at the local dealership. During a test drive it feels different. It accelerates smoother, cruises quieter, responds quicker and, by all accounts, has far lower running costs. Suddenly, the 10-year-old van that was perfectly fine seems past its best. The outcome: a new van hits the road! Of course, that’s the motor industry. It’s tangible and you can quickly feel and appreciate the engineering advancements. In the world of commercial boilers, it can be far more difficult to realise what’s behind the ubiquitous white steel casing, let alone compare an old condensing boiler with a brand new one. However, much like the motor industry, understanding the complexities of a boiler’s design requires a detailed look under the bonnet or, in this instance, the case! 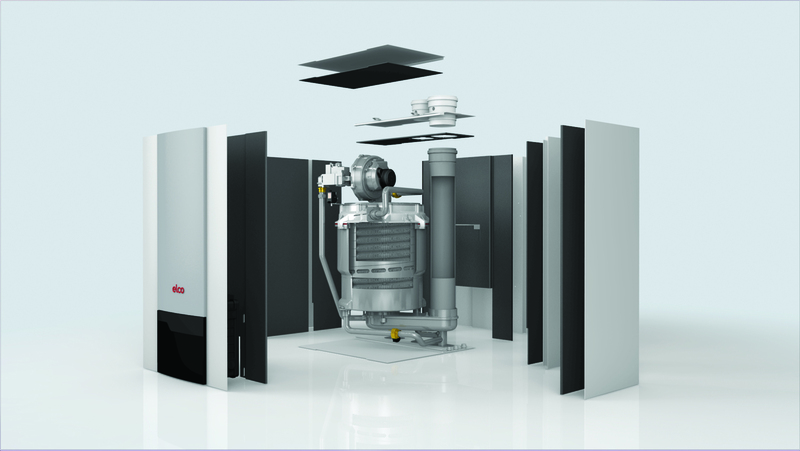 After a close inspection, it’s usually clear that commercial gas boilers have continued to evolve, with some manufacturers – including Elco – pushing the envelope of performance to even higher levels. 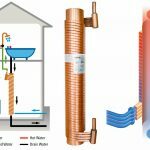 There are some key factors that determine a boiler’s level of performance. The first is efficiency, although a new gas condensing boiler might not show much improvement in headline figures over the years. However, lifetime efficiencies are what truly determine a unit’s performance. Gauging these usually relies on analysis of the heat exchanger – a component that is put under stress from the first minute a burner is fired. Consequently, the material the heat exchanger is manufactured from becomes critical, not only for its short term performance but also for the next 10 to 15 years of its life. At Elco, stainless steel is the preferred material for heat exchanger construction. The metal’s properties allow a heat exchanger to maintain published performance figures for its entire operating cycle, which cannot be said for all metals. Other metals have been shown to significantly drop in efficiency over their lifetimes due to the effects of gradual corrosion. This is often very apparent when looking at an ageing heat exchanger where a build-up of ‘sludge’ from oxides leaves its surface pitted and unable to cope with the tough requirements of a commercial heating system. However, these problems can’t be found on stainless steel heat exchangers, as the metal has an inherent resistance to corrosion. Consequently, it doesn’t suffer over its lifecycle, easily coping with the demanding conditions inside a boiler’s hydraulic system. Other refinements in boiler design can be seen when examining the working parameters of the latest gas condensing models, in particular light commercial wall mounted units. Of course, many light commercial installations utilise a cascade setup of two or three boilers, while many larger projects will increase the number of wall mounted rigs up to seven or eight. 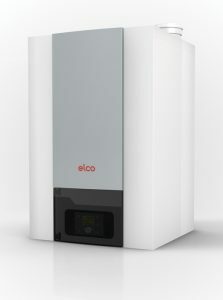 So, with a boiler such as the new Thision L EVO from Elco (available in six models between 60 to 140kW), there is scope for a variety of outputs – depending on the building’s load. There is even a maximum output of 1.1MW available when combining eight Thision units, offering an impressive performance from a relatively small footprint. Such a setup was not always possible in previous years, but due to modern day manufacturers refining boilers cascade configurations, great strides have been made, allowing wall mounted units to make further impressions on the market. 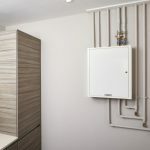 Furthermore, the setup time on site for these types of systems has reduced significantly, with many wall mounted commercial boilers available as ‘plug and play’ cascade packages. This development not only helps with the installation process but also reduces time on site which, for any commercially focused installer, can easily translate into significant savings on a job. Another incremental improvement and a refinement of boiler design can be seen when comparing the energy consumption of the unit itself. This can emanate from a variety of sources, but it’s vitally important to keep resistance on the flue and hydraulic side as low as possible, as this minimises energy consumption by main components such as the fan and the pump. On the surface, commercial boilers might not appear any different than models 10 years their senior. However, there have been a number of refinements over the years, with the aggregation of marginal gains ensuring a significant leap forward in overall performance. Of course, these small changes will always be shrouded by the casing, so examining the internal components and finer details of a boiler’s design can reveal the engineering excellence. It will also highlight how they continue to evolve.